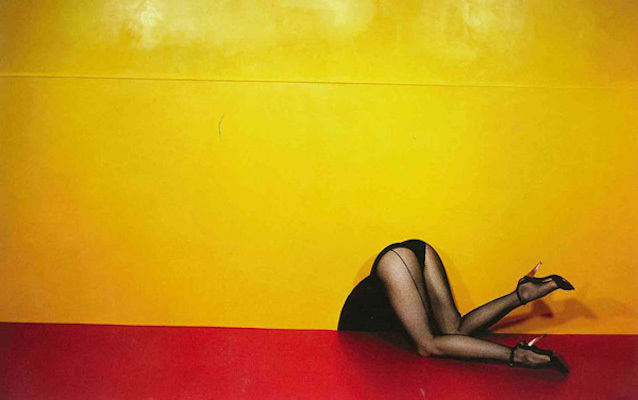 Editorial photography rarely become art and it is few exceptions like Bourdin and Ritts where their editorial work has suddenly become sought after in the art world after their deaths. This clearly shows up the art world and their lack of introspection about what they hold valuable. The fact that photography has been commissioned by a paying party seem to be a barrier for the art world that they struggle to cross. They are saying in fact that art paid for before the creation is clearly not true art. This of course disregards the fact that most sculptures are commissioned work due to the extreme costs of casting, the art world if nothing if not schizophrenic about what is deemed worthy and what is not. Proclamations by art critics like Johnathan Jones in 2014 (Gaurdian, 2014) does not help either. Two year prior to his declaring photography a non-art he was proclaiming the genius of photography as art form and how it is the art form as the future. His article in 2014 does coincide with the sale of one of the most expensive photographs ever. With that as backdrop one has to ask whether Jones was not just merely acting out like a spoilt toddler to the fact that his holy cow of choice was suddenly in his eyes, denigrated. The exhibition of What is a Photograph is very interesting to me as it clearly is a very heavy handed of attempting to heighten the art form. The problem here is not so much in the photos as in the curator? Like all group exhibitions the hand of the curator is heavily involved in the image and as such one has to look at the curator to understand their story and motivation behind the project. The creation and distribution of war images is interesting to me. It is clearly true that images like the images from Vietnam are effective in its message as it is aan image that still stays with you decades later. The image of the man falling (WGN Radio, 2018) from the Twin Towers on 911 is another image that has stayed with us. Recreations of the image pop up every now and then and even in the recent Spiderman: Into the Spider-verse movie the reference to the image clear and can also be amplified by the fact th at Spiderman is a superhero that hails from New York. the value of the war image can not be underestimated and it was for this reason that the White House banned the images of the coffins of fallen soldiers arriving home from 1991 to 2009 (ABC News, 2009). I am not clear that these images would provoke change though. Do war images provoke change. The fact of the matter is that we don’t really know as the images from the last few wars have been so controlled by the different governments through the use of embedded journalists that the images we see are rarely what is really happening. This might be why movies like Restrepo had such an impact as it once again woke us to the realities of war. It pushed past our barriers created through an influx of images that have desensitised us. By normalising the images we get past the dehumanisation that many war photography has seemingly achieved. Selgado’s work tends to beautify the extreme. his work evokes stories of years past through its beauty and creates disassociation from the reality of the place. His images, although beautiful do not really evoke strong emotions in the viewer. Do these images work as he intended it to then? The biggest problem here is that people act more out of fear than appreciation. Can we be more forced to act by the horrific than through beauty? Personal experience has shown that images that shock and make people angry are always the images to make people act or reach out. Images need to invoke emotion but Selgado’s Genesis images tend to evoke melancholy and nostolgia, neither of them emotions that will inspire people to act. Brandt’s commentary seems to be very much aimed at Africa yet has no real interest in the west’s complicity and in many respects exploitation of these areas for their own financial gain. It is a clear western view and understanding of what is happening in Africa. Brandt’s views on animals are very much based in the western view of perfect nature and the eden that exists for them. He comes to africa to ooh and aah at the beauty but then goes back to his urban life in one of the worlds biggest cities, drinking cocktails while he tells stories of his African experiences. Between the two I would actually prefer Salgado as his images are not purporting blame. Brandt’s inclusion of black africans in almost every single one of his photos clearly show how he feels about Africa and who he blames for this breakdown of natural habitat. It is always easier to point fingers if you live in a country that has killed and destroyed any large mammals centuries ago. He did not take photos of European wolves against the backdrop of London Heathrow? He, like so many europeans before him has once again shown that he values the lives of the animals less than the lives of the black africans that he shows in his images, who all probably live in terrible circumstances in dire poverty. It is interesting to me how advertising agencies are forced to confront issues differently according to the target market. The issue of rhino horn has become and interesting issue for me. The issue is approached in a lot softer manner in South Africa as we have had in influx of horrific imagery about the slaughter for the last decade. They therefore do not need to create awareness of the problem, but only create awareness of the specific charity that is working for them. The Vietnamese advert on the other hand is also interesting. Gruesome images would clearly not work here as there as there is very little interest in the anthropomorphising of the creature as most of the people that would buy the products made from rhino horn has never really seen a Rhino much less identify with it. They have therefore decided to concentrate on the gross factor of the horn and that it is made from the same thing as human nail and hair. When I look at my own work I have to think about how people can read my work. Optics has become a watch word during the last few years and it is something that has to be considered. Being “safe” in your photography is also not an ideal goal so trying to balance the images between the safe and outrageous is something that has be achieved. Do I think my work can be considered as something with a message? The short answer is no. As a portrait photographer i ty and portray people and locations, not to push certain ideology but to just reflect the reality of the situation. The most interesting thing to me over the last few years is to see how the fashion world has been handling the demise of the magazine. Although powerhouses like Vogue and Elle has kept on going strong the special fashion extra’s that came with most big broadsheet newspapers have died a sudden death. Some magazines like i-D has switched to bi-monthly issues. Even though the value of the magazine and to actually hold the print in your hands instead of only watching it online is still valued by most people the lack of advertising money and an ever shrinking budgets have meant that a lot of the magazines have cut down on original location editorial for their fashion spreads but instead do a lot more in-house studio work. Some fashion websites have tried to take up the slack but there is just not the amount of advertising money available to them that is available to the magazine. Vogue can still demand more than £100k for the first two pages of its magazine. Can you imagine getting that type of money for an advert on a landing page of a website? Even if they can actually show that they have more viewers that see it than Vogue? You would think so but pigs don’t fly and cheeto complexioned reality tv stars don't become the most powerful men in the world (Wait! What!?). So there is the problem. I can see a lot of small fashion websites try to recreate the model of a fashion magazine but the images are always inferior and is mostly through submissions from photographer who fund shoots out of their own pockets with the help of favours from stylists, models and MUAs. One of the bigger problems will always be the idea of advertising. The advertising by the big brands in the print magazines always gives credence and substance to the rest of the magazine, an air of authority from the imperious fashion houses. That means that the images will always be seen as inferior and just not as impressive as images from the print magazines. The images in the magazine has to be seen within the context of the print magazine as an entity with some kind of power and influence. This type of power is rarely afforded to online magazines and as such their images are seen as of less import and not as influential. To try and create some kind of revenue most of the bigger magazines like Jute magazine will have quarterly or bi-annual printed issues that can be bought from their website. Despite this their worth as a serious magazine are always inferior to that of their print siblings. 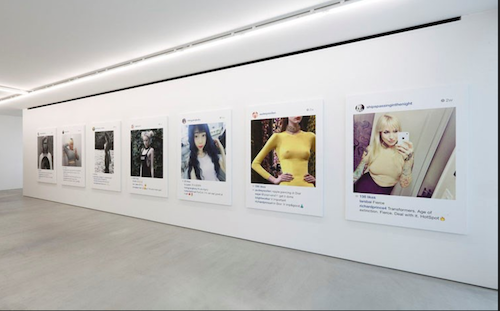 That is due to the fact that the print magazine’s images are within the framework of the big and powerful fashion houses giving the magazine agency to display their work. The small online magazines images will always be seen as the scrappy underdog with stylists calling in favours to get the shoot items together. The issue with National Geographic has always been a complex one. For me and my fellow GenX’s there is an inherent love for NatGeo that you will not get with any other magazines. The thing is, this is the magazine that would have inspired a lot of us to pursue photography. Our first exposure to the other, to the world unexplored, to places that we could only dream of. For most of us being a National Geographic photographer really was the pinnacle of photography, the photographers who get contracts with them were spoken of in hushed tones with equal amounts of admiration and jealousy. So where did it go wrong. I do not think it went wrong recently. I think this is a problem that has been passed on since National Geographic released its first issue. The type of documentary photography, even though you can not really call it a style, has always been very true to NatGeo. Subsequent photographers who, aiming to get into the magazine, would look at the style the magazine prefers. They would then copy that style with own nuances in it and get the job, the spread, the fame. The next generation of photographers would then do exactly the same. The proverbial snake eatings its own tail. There were diifferent parts of this weeks work that struck me. One of the most interesting ones was the whole idea of the other and the normal when it came to taking photos of disabled people. This was actually recently discussed in our study group when Martin Brent showed us his images for a british charity. The Charity focused on the other instead of the normal but my question is if there is any form of normal. Though showing them as normal as we not just celebrating their other and in fact making their achievements of more import as the viewer does not see them to be able of any type of able bodied work. A few years ago I myself took some images of para-athletes and now realise that through the image I celebrate their otherness by putting an accent on the fact that they are not able bodied but in fact disabled, yet have the ability to compete at a high level. When it comes to my own photographic gaze I have recently realised that i find the images that are the most effective for me are always the portraits where the subject has some type of confrontation with the viewer, expecting the viewer to say something, challenging the viewer to something. These are the images I have found to be the most effectve type of portraits as it forces the viewer to react to the image, whether negative or positive. To be an effective portrait photographer we need to always think of the viewer but also be aware of the power balance that exists in between the photographer and the subject. As such I have tried to take photos of people when I have made them feel at ease and I have taken images of subjects when they are uneasy. To get the most emotive portrait i have found that the latter method seem to work better. This is not really ideal as I am not really at ease with exploiting my subjects for a good photo like the image of the Afghan Girl shot by Steve McCurry. That said it is clear that there is a human need and understanding for people that are uncomfortable and uneasy and it seems to strike at the empathetic heart of the viewer. As an exercise I will try to ask a question just before the photo gets taken. This was suggested to me by my tutor and it will be something I will try in the future. As read in a recent article about Avedon it was said that: Portraiture is a compromise between the people in front of the lens and the person behind it. Know who your are, exude your style and own it. The portrait photography i currently practice is a bit more complicated when you consider that there has to be some form of intent. The fact of the matter is that to identify the intent of the photographer or image the photographer has to consider who the viewer is. This is a difficult question to portrait photographers. We don not have any specific market in mind, there has been no market study to determine the age, gender or spending habits of our viewer. The interesting thing to me here is the fact that I have found that I am changing my photographs to please the others and especially the tutors on this course. Is that my intent? We as professional photographers rarely do work for ourselves and always have to keep our clients in mind. In this case who is my client? Is my goal to get good marks then the tutors and the lecturers would surely be the client and as such am I changing how I do things to please them or to please myself? After talking to tutors I have started taking photos that are markedly closer than I usually do, the object can be debated as to wether that is to portray the subject better or to just get better marks? Worth debating surely as no one lives in a bubble and any of the external influences that comment or critique our work is bound to have in influence. When discerning the strategies used in my photographic practice there are a few things that I usually do. Most of it has to do with lighting and background but otherwise it might also be the way I converse with the subject in an effort to keep them at ease. The background is as neutral as possible as to create some form of recognition from the viewer. This is largely based on a style choice and and was decided on with mind to how certain styles, like Platon for instance, can be instantly recognised. I am not always sure about the success of my strategies. Who are we to really judge? Can we put a viewer survey next to each image to make sure that the image was pleasing to the viewer? Or are we not to look for pleasure in the image but instead some other emotion like disgust or anger? Who knows. In the end I do think that the images that I put on an exhibition has to have one thing in common and that is that they speak to me, they please me in some way or other. The search for pleasing others is something that should be left to social media. On the question of wether I am a hunter or a farmer it is clear to me that I am a farmer rather than a hunter although I don't think that most photographers are a bit of both. Even though street and pure documentary photographers can be seen to be hunters most photographers these days skirt the line between the two working with set up situations and locations but still not being true farmers where every single aspect of the image is controlled. Crewdson’s images are pure farmer type images by controlling everything in the image and setting up the location and the lighting. This amount of control is rarely presented to most photographers and one could say that this was “farming in the extreme”. Although I do like and admire the photographers I do not see myself using any of the constructed techniques in my own work. As a portrait photographers I do usually have some form of set up in the creation of the images as I choose certain aspects of what I think I want to portray but with my current current FMA project I am giving some of the choices over the subject. This means that there is even less control over the images compared to to what I would normally have. This is completely opposite to what constructed photography tries to achieve. Truth and construction is a difficult thing to bring together. There is already a strong dose of artifice in photography and adding the added constructed and planned out paradigm to photography does make it less truthfull but also more interesting. The interesting about this constructed photography has always been that it tells you more about the photographer than for instance normal photography would. In the set up of all the images and the background the photographer can not but help to put his own individual stamp on everything and also a strong does of how he experiences reality. Whereas street or documentary photography already suffers from a lack of true objectivity due to the choices the photographer makes here the choices the photographer makes becomes so much more and can have so much more impact. I do not really believe that photography shows the truth as discussed before but I do think constructed photography has the ability to tell a story with more subtlety that normal documentary photography by giving the photographer choices he never had before. Gregory Crewdson. (Double Exposure Journal, 2015). As constructed photography goes I am and have always been more interested in the constructions that tell me more about the people in the image or images that almost resemble portraits. As a storyteller I am drawn to people and how Crewdson chooses to portray some of his subjects. By the clever use of background actions and props he tells more than just a story. Most portrait photographs are not real stories but most of the time they are just brief glimpses into the stories of people. His images gives the viewer the opportunity to examine the story and the background in great detail until we can then make our own conclusions about the person. That is part of the interesting thing about his images. They do not spell out any conclusions to you and by choosing what you take to be important and not important you have the ability to come to completely different conclusions. Gregory Crewdson. Twin Beds 2007. (Fstoppers, 2014). All three of his images consist of a more than one subject. Through clever lighting he draws the eye to the people that he feels are important. The background has been chosen carefully and by using muted colours and lighting he makes sure that the focus is on the subject. By spacing his subjects the way he does he creates tension and uncertainty between the different subjects in the picture. The reason for the tension is something the he leaves unclear, leaving the viewer to fill int he blanks himself. All three images are taken in suburban households yet all three are not pictures of what we imagine the American Dream to be. The tension is palpable through not only their expressions but their lack of communication, the way they seem to live separately in the images. Crewdson likes to talk about his images is "concerned with the central theme of trying to make a connection. (NY Times Lens, 2016). Gregory Crewdson. (NY Times Lens, 2016). I find these images inspirational in that I have to also make choices in my every portrait sessions. By choosing the angle, what i choose to light in the background and how I choose to frame it I make decisions on how the subject will be portrayed. Does it always flatter the subject? No, it does not but in the end I am portraying something that I see and want the viewer to see. Images from photographer like Mark Seliger and Annie Leibovits has inspired me to sometimes think more about what I and the client want to say with the photo. Both of their photos require a large amount of pre-production and planning. They are both important to the subject as the image will portray something about the subject. The difference between the images that they produce and what Crewdson produces is arguably only in the aim. Where as Crewdson tells a story that we dont know, both Seliger and Leibovitz elaborate on stories that we already know. Crewdson’s images are new stories with more open ended interpretations while the others are snapshots on a currently known personality. A large amount of the images we are bombarded with every day is from advertising sources. These images try and get past the clutter of the social media experience by creating recognition with the viewer. You as the viewer are not supposed to realise that the artificiality in the image but it is supposed to be working on your subconscious creating expectations or needs. The problem is that people have stopped seeing advertising images for the falseness that it portrays as it has become lifestyle adjacent and most people will struggle to separate the real from the fake as they are not confronted with the truth of the product. By adding of subtracting things into the image you are changing the narrative and you are changing it the way you would like to be. Small changes like that of the thumb in Dorothea Lange’s Migrant Mother image does not bother (Petapixel, 2018) but large changes like that in Art Wolfe’s images does disappoint. The scandal that has been surrounding Steve McCurry since 2016 is also interesting. Here he photoshopped people out of images and was caught moving and editing images since he took them. It seemed to have been strangely revisionist in that he has changed images that has been published before, choosing to change the images as they go on display in retrospectives (Fstoppers, 2016). These images van be seen as that of a trickster, something that through manipulation has been done to make the image look more interesting. McCurry defines his work as “visual storytelling” (Fstoppers, 2016) but as his images were mostly seen in the National Geographic publications, a magazine most people would trust to have some form of ethics surrounding their images, his images have therefore been accepted as truth, and not fictional constructions. Can I use these ideas in my own practice? Probably to a lesser degree but the problem I have in the end that I do try and depict the truth in my images. Therefore the question of construction is interesting. In my portraits I do construct some truth. Although the image of the subject is plain the fact that I am keeping it as simple as possible shows that there is some form of choice in my portrait images as I do construct something of the reality of my subject, injecting my own narrative into their lives. I believe the fact that my photos of locations that go with the subject are untouched and unaltered balances my choices in the portrayal of my subject. I tend to read constructed images as images that, sometimes quite heavyhandedly, are always trying to make a point. The subtlety of the images is frequently lost and I have always felt that Crewdsons images are in your face depictions of the narrative he is trying to tell you, all Caps lock if you will. The general public, less used to studying images in depth than gets the point of image quickly, disregarding the subtleties that Crewdson does like to throw into his images. My images are separated between subject and location for a clear reason. I would like the viewer to study the location in greater depth that they would have in the subject was in the image. This gives the viewer the chance to draw their own conclusions from the photograph and make their own decisions on what they choose to draw from the images and how they want to tie the images together. To view all constructed images as lies are difficult. Lies are told to deceive and it is rare this is specifically the aim of the photographer. Do they perpetuate a fiction? The answer to that is yes but calling it a lie brings a negative point to the images that neither the image of the photographer deserves. In the end any image is constructed narrative and by changing any of Szarkowski’s five rules the image and the narrative can be greatly changed. Even the choice of the lens can and will cause change. What we decide to include by lighting also makes a massive difference. In the following image the sculpture is looming behind the sculptor Adriaan Diedericks. This was done through lens choice, lighting and framing. Does the statue really stand behind him looking over his shoulder? No, but it is a narrative I as the photographer chose. The following can once again be seen in the image artist Shany van den Berg. Sitting next to her portrait of the first surgeon the successfully transplant a human heart, Christiaan Barnard, the light coming in from the window behind her bathes her in it surreal glow, giving both the portrait and her a saintly feeling. This is further examples on how framing and light has changed the meaning of the image. To be true the view that photographs hold more veracity than paintings is both an old fashion and antiquated view. Both Sontag and Barthes refer to the reality of photography, the fact there is something real that was taken and the reality of the object/subject can not be escaped. In contrast to this it is clear they do not give this reality of actuality to the art of painting. Surely their views, expressed in 1977 (Sontag, 1977) and 1980 (Barthes, 1980) would now be completely false. The creation of images through Photoshop might not be something they could foresee happening and current practice is far removed from the rather rough collage work of their time.Through the use of CGI whole worlds are now being created and displayed as reality. If Sontag and Barthes’s views would be followed we would now be in a completely different world. As can be seen in these images the line between what is real and what is photographic has become blurred to the point where the line between what is photographic and what is CGI has also become blurred. In these images from twistedsifter (Twistedsifter, 2013) there is little difference in what we would perceive to be a photograph and what is not. Do these images have the punctum that Barthes refers to? Probably not but did Barthes foresee a world where photography has become such a daily activity that it has become a true democratic art that loses its meaning in a deluge of selfies and food photographs? Woman by Dan Roarty (Twistedsifter, 2013). Faceted Glass by Albert Farrahov (Twistedsifter, 2013). For me Snyder and Allen’s views of the photography cannot really be argued. The amount of changes between the eye and the camera is too great to ignore it. What is interesting to me is the fact that with the camera we can in fact flatten an image, but using a longer lens and a small aperture we can give all things in the frame equal weight while the human eye just doesn’t work like that, instead choosing to focus on one thing at a time. This would therefore point to the fact that Snyder and Allen is correct. Do we as photographers expect images to be iconic. I would answer both yes and no in this instance. While there is a clear search of iconographic imagery in our search for the perfect photo just due to the wide exposure we have had to photography featuring strong iconography, an experienced photographer would and should look for more than that. Sometimes the story is not in the icon but the subtext of a wider scene were very little iconography can be found.An example of this is the Don McCullin image below. AS documentary photographers are always actively searching for the iconic the background and the surrounding story does tend to become subservient to the iconography. I would therefore suggest that iconography is not the prime goal for a photographer but one of the many weapons in his armament. Protester Cuban Missile Crises 162 by Don Mcullin (Lonely Planet, 2018). The importance of indexicality in photography really depends on the type and use of the photos. I would argue that indexicality in fashion photography is less important as it depicts an ideal world as it searches for viewer recognition in terms of becoming an aspirational goal. In the three images below the different ranges of incongraphical to indexicality can are illisttrated. The first image is purely iconographic and its real indexical strenght is negligble. The last image, an advert for a fashion brand, is purely indexical trying to awaken aspirational goals from the viewer. The image in the middle can be both as the true fashion photograph will most of the time try and be both. Indexicality in documentary photography can be seen as being substantially different to fashion where the indexicality is more important as the image gives testament to reality. Even if they are meant for different audiences they are both still constructions. By choosing your lens, your angle, your timing and your frame you are including, excluding or blurring items to convey the message the photographer wants to. Therefore the images are all constructions. The main difference here would be in the aims of the photographer, whether it be aspirational or a true narrative he is trying to picture. In the past decade numerous photographers have been caught creating or adding to the narrative in their images using Photoshop. The cloning of the smoke to create more smoke was laughably amateurish and called into question Reuters’s quality checks before publishing. Another well known example was the image released by the Iranian Revolutionary Guard in 2008 showing the successful firing of 4 missiles when in fact the fourth missile was photoshopped in after one of them failed to launch. http://www.alteredimagesbdc.org/#/sepah-news/ As much as this is faked it is quite clear that media manipulation by governments occur just as frequently. The Obama White House became infamous for the restrictions they place on photojournalists, only allowing their own White House photographer sit in during a lot of meetings. https://www.nytimes.com/2013/11/22/us/politics/photographers-protest-white-house-restrictions.html The current US administrations hatred for the press and their disregard for press freedom need not any further examination. This careful shaping of their image might not be seen to be as nefarious as photoshopping but its goals are in the end just the same, shaping a story that benefits them and misleading the public from the truth. Beirut, by Adnan Hajj (Altered Images, 2015). Missiles from the Iranian Republican Guard (Altered Images, 2015). As someone who has been in the fashion world for a few years I have dabbled mostly in the aspirational imagery of fashion and advertising where there is very little relations between the truth and the image. As someone that also does true portraits these days I have to have a stronger relationship with the indexical nature of the portrait. By also choosing an alternative process I like to believe that the viewer sees more truth in the image than they would in a digital image. The fact that I choose to use the paper negative process in its own is part of a construct of truth that I choose. Barthes, Roland (1980) Camera Lucida. 2 ed. London: Vintage. Don Mcullin. (1967). Tet Offensive. [Online] 1967. Available at http://https://www.thetimes.co.uk/article/shell-shocked-anthony-loyd-searches-for-the-vietnam-vets-pictured-by-don-mccullin-06whb38gx [Accessed 08/02/19]. Sontag, Susan (1977) On Photography. 1 ed. London: Penguin. The issue with photography and authentication has definitely increased in the current market of digital photography. We consume so much digital images, so much of it manipulated that it is frankly strange when the images are real. The extremes of digital manipulation has gone so far that it is now being done for sport or entertainment. Kirby Jenner, the non-existent brother of the Kardashian clan, posts weekly images on his Instagram where he has inserted himself in images featuring his more famous sisters. The image manipulation are done with care and very good skill and is used to poke fun at what the family represents. Photoshop guru James Fridman has become famous in the last few years for his digital manipulation of images he receives from requests. His images are authentic in their representation of mostly human hubris. I would therefore argue that authentication did exceed the power of representation in a non digital world but in our current media savvy world the representation has at times become a more powerful impetus in the image as the public expect the image to be manipulated. In my own practice i have found an interesting phenomenon in that I have noticed that clients seem to give more value to film photography than to digital photography. What they seem to do is ascribe a higher degree of authenticity to the film image than the digital image. This is of course nonsensical as they mostly see the image in a digital format which has given the photographer the chance to digitally manipulate it yet the idea of authentication seem to more present. That means the viewers seem to give digital images less credence than traditional film images. In the current market of fake media the idea of authentication of any media is difficult and even if it is it will be decried as fake by half the population. This tells me that what the image represents has become more important than its authenticity as half of the viewers will not believe what they see anyway. Thinking about my own practice seems to be made more difficult in the fact that I decided to combine three separate genres of photography in my FMP. The aim is to photograph a subject, the subjects personal space and then a public place that they frequently use. the main part of my photographic triptych is of course the portrait. Standing on its own the portraits have be compared to other photographers. This does seem to be a problem for me as I am, at the moment, neither here nor there. If you look at tother photographers who specialise in portraits my use of the large format and paper negative does narrow the field a bit but I have to now look a the context of the images. Compared to Dijkstra’s images my images are a bit to familiar, too friendly and lack some of the hallmarks of a true deadpan portrait. Neither is it the celebrity and neighbourhood portrait of a “cheeky chappy” like Platon is wont to do. I have realised that I will need to work on the portrait. one of easiest ways to draw my portraits together is to make all the sitters wear roughly the same clothing. I will also have to make sure that the lighting is the same for all of the images. The white t-shirt/shirt draws the images together into a more single purpose series and where the direct connection between the images will be seen. It is interesting for me to see how Dijkstra and Alec Soth handles their subjects and I have realised that although my main aim in collaboration with the subjects have always been to create harmony I struggle to relinquish control in the portrait section of the images and will therefore rather, if i had a choice between my control or their control, rather go for my control. My location photography section of my images are made up of two different sections. The first is of course the single place that this person chooses. This is a place that the subjects lives on or works in or draws inspiration from. By letting the subject choose their own personal location I am handing some of the choices over to the subject and thereby letting them control part of the narrative. These images will then also further perpetuate the deadpan aesthetic that the portraits live in. I have to look at these images and ask further questions though as it is sometimes difficult for me to lease the control on these images. My need to include and exclude certain part os the image, Szarkowski talks about the frame, is difficult for me. The subjects need to include and exclude certain parts of the image is sometimes contrary to photographic rules and my own need to control the image is something that I struggle to let go. The third and last part of the image that has proven to be interesting is the Public place. During the last few months I have considered various different ways of creating this image. Playing around with my large format camera and looking at the images of Pep Ventosa have led me down a path where I might start using my digital camera to take very long exposure and then stack different images on top of each other. With several public events happening in our town in the next week I might have a chance to try out images. In the end the intent of this series is to show the link between what a subject and their public persona. By separating the different images I am giving the viewer the chance to experience the images separately and thereby draw their own conclusions. My images could therefore be seen as location portraits but with an extended intent. The ability to draw the viewer into what would have been the background affords me the opportunity to give the viewer more depth and detail about what they are looking at and what it says about the subject private space or what they want you to think about them. The further addition of the public space gives the viewer further freedom to draw conclusions on the subjects public face. the place they go to in public. Bate, D. (2009). Photography: The Key Concepts. New York: Berg. Jaeger, A.-C. (2007). Image Makers, Image Takers. London: Thames & Hudson. Cotton, C. (2009). The Photography as Comtemporary ARt. London: Thames and Hudson. Edwards, S. (2006). Photography: A very Short Introduction. Oxford: Oxford University Press. Szarkowski, J. (1966). The Photographers Eye. New York: Museum of Modern Art. Wooters, T. a. (2005). A History of Photography. Kôln: Taschen. Schoenberger, J. (2011). Deadpan at Work in Amerisa. Crossing Boundaries and Transforming Identities , 163-174. Getting to photographing a roundabout way meant that my introduction to photography and portrait photography happened through the lens of fashion photographer. As a young fashion photographer I was always drawn to the works of Bailey and Avedon. Bailey always strongly believed that he was a people photographer first and if the girls were wearing the clothing that was incidental and not really the inspiration for taking the photo. This view of photography always interested me and as such I was interested in becoming a “people photographer” rather than a fashion photographer. I further inspiration from people like Jane Bown left me with a rather different view of portrait photographers than the rest of the fashion photography crew. Even though I always found work from Mark Seliger interesting his high concept work on musicians, actors and other people in the public eye only really spoke to me when it was simplified and all the stunt lighting and props were left. The high concept images were interesting sure, but do they reflect any form of the true self in the image or are they just small little snapshots dreamed up to reinforce the subjects public persona. His single images consisting of only his subject are far more interesting. It is then as such that I approach my photography at the moment. Although I do not live under the illusion that photographs can capture the truth of a person we can portray a facet or some facets of a person. Avedon’s strategy of waiting the subject out to capture the true essence ,waiting for that one unguarded moment is also false to me and although used by him it is definitely used in a skewed relationship where the photographer has all the power while the subject is put under stress to achieve an moment of reality. To pin down my portrait style at the moment would be difficult. I am neither from the school of deadpan photographers like Rineke Dijsktra and Alec Soth nor am I in the congenial image making that Seliger and Liebowits creates. The biggest stumbling block to me in the pursuit of true deadpan photography is the lack of emotion that the images show. The deadpan images prime purpose or aim is to show “this is how things are”. I have always though that this statement is false as we rarely encounter people with no emotion whatsoever. The moment of no emotion then is just as false as the one that Avedon looked for in his images. Where my images do come line up with Dijsktra’s images is in that the background is bare and uninteresting in an effort to draw the viewers attention to the subject. Strano says in 2016 “Every single element could convey a message and despite the wide sense of interpretation, which is photography itself, is essential to him define a common context to avoid misunderstand and the guide the viewer through a correct reading of the project.” In my own photography I choose to separate the subject from their environment. I thereby create a individual photograph of the subject without the inherent influence his background will have on his narrative or the supposed narrative the viewer has of him. I hope that through this separation the viewer will study the background, a bit-player in the normal location portrait and make draw new conclusions from the portrait. Even though I am trying to stear away from the deadpan imagery in my portrait it is more difficult to stear away from the Becher school of deadpan photography when it comes to the image of the location that my subject works or lives in it becomes more difficult. Just the fact that it is an empty room shows its roots in the deadpan school. My images are therefore purposefully shot off centre, and not fully centred like the deadpan photographers are prone to doing. By giving an almost snapshot esthetic I am hoping to invoke the familiar in the viewer, something they have have seen before on social media. This recognition will then also hopefully give more empathy and a stronger connection with the subject, even though they are removed from their background.